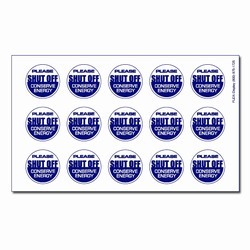 3" Round Vinyl Decals for Industrial Use. 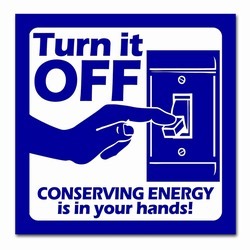 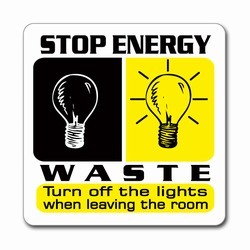 "Energy Conservation. 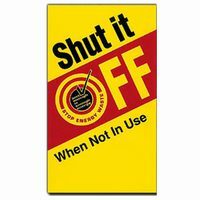 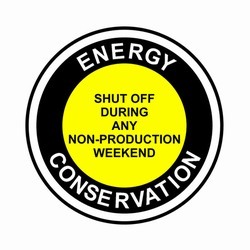 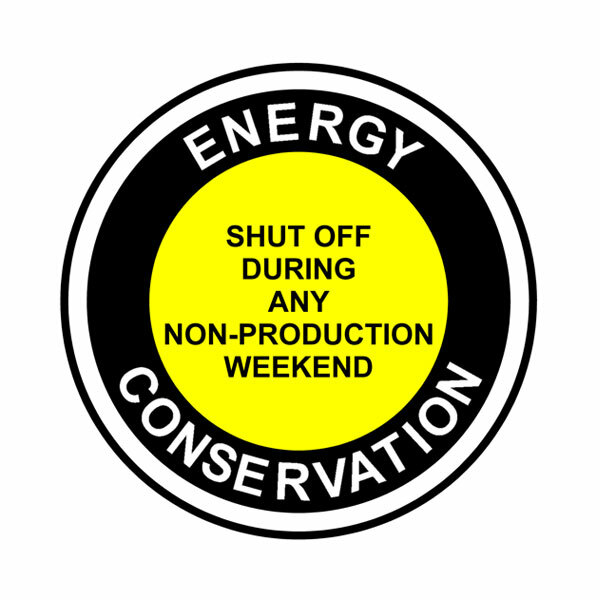 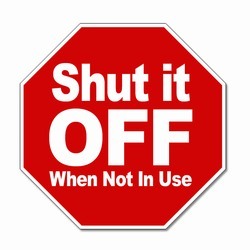 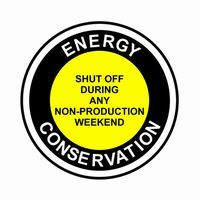 Shut Off During Any Non-Production Weekend."